Despite healthcare getting better and better, society is not necessarily healthier. One of the reasons is that the food we eat isn’t always good for us. There are so many theories about what’s really the best that you’re forgiven for not knowing what to put on your own plate. So what do you do when it comes to your baby’s health? We say it’s best to play it as safe as possible such as keeping artificial ingredients off the menu. 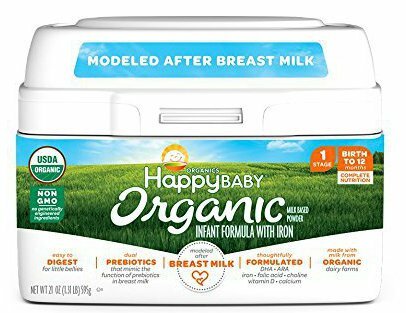 For that purpose, use this review about organic baby formulas to find a better diet option for your child. Why Not Pick Any Formula? How do They Make Organic Milk Sweet? Can Formula be Used for Preemies? With many health opinions floating around, let’s summarize a few facts so you can easily pick the right formula when you’re out shopping. Do All Organic Formulas Work? Let’s first clear up confusion. Just because a formula is organic doesn’t mean it’s safe to use. Organic products aren’t cheap and to keep prices low some brands add lower quality ingredients such as canola oil which isn’t as beneficial as coconut oil. For this reason an in depth investigation of each product label is vital. Here’s what you need to look for. The best sign that you’re purchasing a safe product is to look for organic certification. It’s provided by the USDA as proof that no synthetic chemicals or genetically modified seeds were used during production. Look for something that’s easily acquired in your own country. Some products may be easily acquired in Europe, as Germany makes some excellent formula products. But if you’re in Canada those may only be available sporadically. Make sure the organic certification is up to your expectations. Certifications done in the US may differ from those in UK. Now let’s find your best 2018 options. Why we like it: We love that with this product you can avoid many of the unwanted ingredients that are controversial. It’s a safe option for anyone with very little chance of triggering allergies, boosting it to the top of our list. You get a sense that it’s healthy simply by reading the name since it’s filled with whey protein. This makes it very digestible so babies will feel comfortable after feeding time. 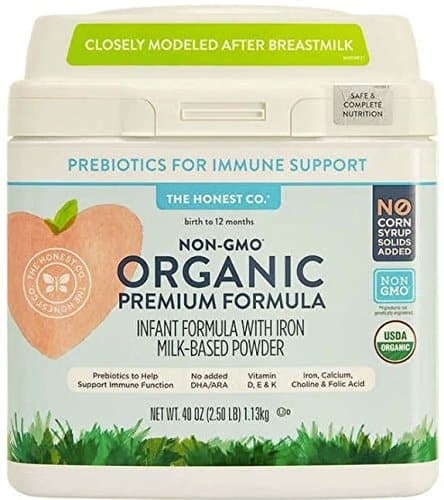 It’s an ideal transition option for breastfed babies since the protein and carbohydrate percentages are very close to that of a mother’s milk. It does contain some soy products. These aren’t ideal but it won’t necessarily affect your baby negatively. It’s also not 100% natural as synthetic ingredients are used. 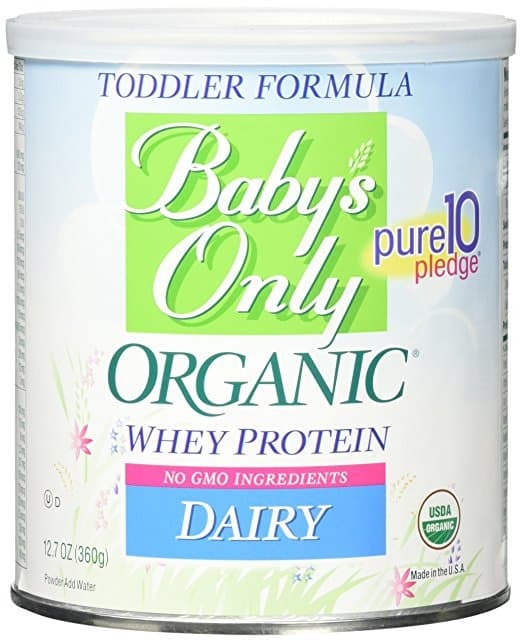 The organic whey protein is an ideal way to help babies produce softer stool. It also has lactose instead of other sweeteners, so you know it’s one of the healthiest options around. This is actually a good side effect: This substance can help babies gain weight. Will Your Baby Like it? This formula results in a unique, thick consistency and it has a lot of froth. Babies who aren’t used to it may not like it at first, so transitioning can be difficult. Why we like it: Unlike most products this is certified as safe for infants too, not only toddlers. Here’s another one you can trust because it contains lactose instead of other sweeteners. It’s also certified to be safe for both infants and toddlers, where many other products are actually certified for toddlers only. It comes to you in a handy square container which is actually more ideal for packing and it can’t dent as tins do. The milk products are sourced from organic farms so you know your child gets the best. The DHA will benefit your baby’s brain and eye development, though some consumers prefer to steer clear of these substances. It would have been better if the DHA wasn’t extracted through hexane, but this is still a possible positive feature. Consumers do complain about babies getting constipated, but this can be case specific. 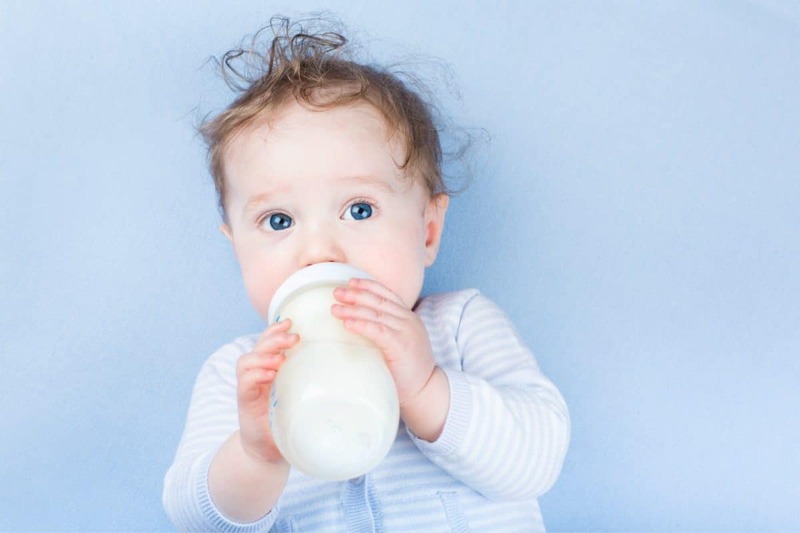 Because lactose is used to sweeten it, chances are your baby will take to it quickly. However, it’s not the best tasting formula on the market. Why we like it: This product claims to be modelled after breastmilk and this makes it an easy transition option. Breast milk was used as inspiration for this product so it resembles it in many ways such as the prebiotics it contains. 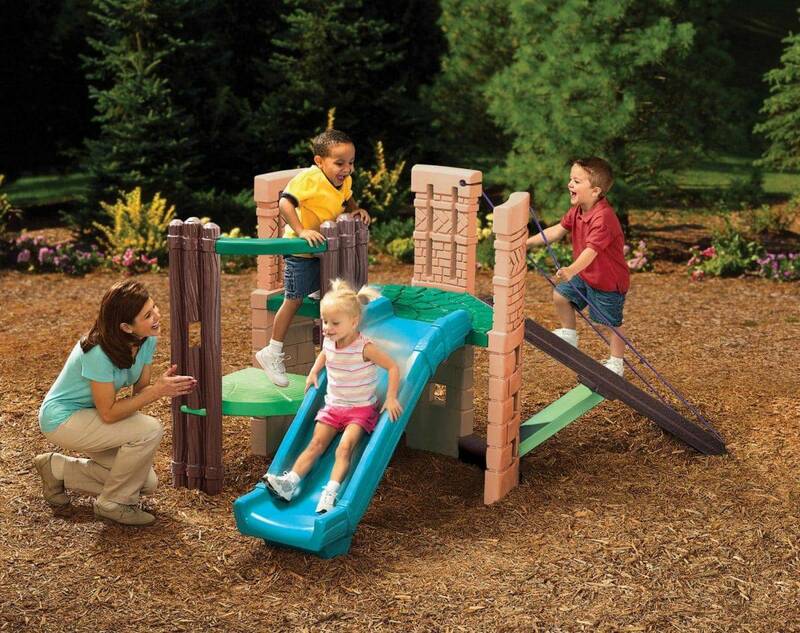 It’s designed to provide adequate nutrition from birth up to one year of age. It’scertified as organic by the USDA so ideal for those in search of prime organic products. The handy, square container makes packing and storage easy. You get prebiotics and at the right concentration it will keep your baby’s dietary tract healthy. It’s one of the baby formulas containing the highest level of prebiotics. Note that this is one of the products with the highest levels of prebiotics. While it’s healthy it can cause excessive gas—and therefore discomfort—for some babies with sensitive stomachs. Since its effects resemble that of breast milk—creating healthy flora in the baby’s stomach—babies may love this. However the resemblances are mostly in ingredients, not texture, so give your baby a while to get used to it. It’s of a very thin consistency which could seem unfamiliar to babies and it also need to drink a lot before they feel full. Why we like it: This brand used to focus on using corn syrup, but it actually revisited ingredients lists. Now you can get this quality formula without risking your baby’s health with an unhealthy sugar source. If this brightly colored tub catches your attention it’s a good thing. This formula contains lactose which is an excellent source of that desired sweet taste and necessary carbohydrates. The cows the milk products are sourced from are grain and grass fed, which is a prime requirement for many people who follow organic diets. Yet another excellent product containing lactose. It has organic nonfat milk and a whey protein concentrate. The added iron gives the formula an extremely metal smell and also taste. 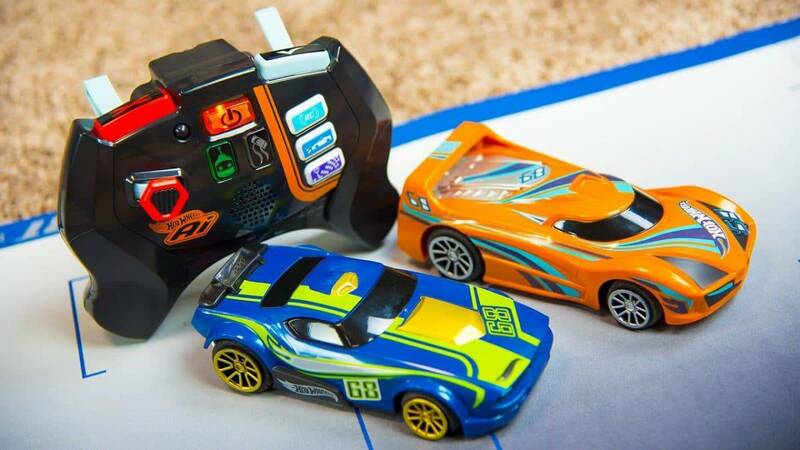 This may be too much for some individuals, so parents may not want to give it to their kids. Some children tend to get constipated after drinking this. The mild effects—such as low gas and easily digestible protein—will make for comfort after feeding time. Why we like it: This rates high for two reasons. First it provides you with lower levels of lactose if your baby finds it difficult to digest. Secondly none of the ingredients were produced with hexane. This is a reduced lactose product, but note that it’s not lactose free. 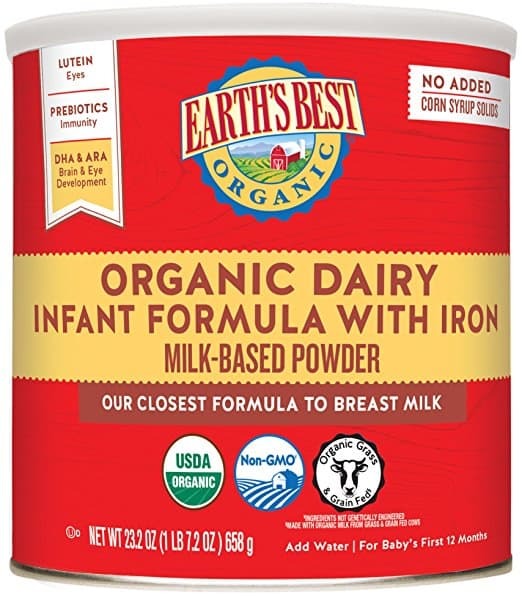 If your child is fussy at times due to lactose, this is a great alternative since it only contains 26% of the lactose similar products will have. This should reduce your baby’s gas levels. 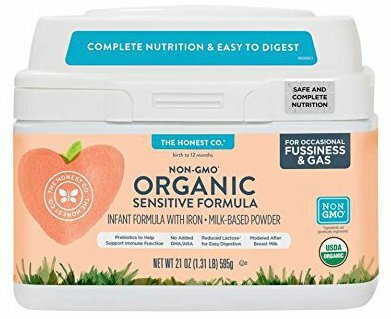 This is one of the products on this list without DHA, which is ideal for parents who don’t want to take a chance on controversial products. Organic milk sourced from grass fed cows is used. Additional protein is garnered from whey protein. The carb source is reduced lactose and your baby benefits from added vitamins & minerals. In terms of fat you’ll love the organic coconut, but note that palm oil and soy are also used. This contains 74% reduced lactose to aid babies’ digestive systems. It’s also makes fewer clumps than many other products. This will still have adverse effects on babies that are completely lactose intolerant. Note that the formula easily produces foam and bubbles. These can add to your baby’s gas, so it’s better to stir the formula than shake it. As with most formulas, look out for constipation and stop using it if it causes pain or huge changes in digestion. It closely resembles breastmilk so you can use this while you’re still breastfeeding. Many babies don’t have preferences between the two. Why we like it: Honest Company’s standard formula is impressive too. This gives parents who want to steer clear of DHA a very healthy option. The packaging also proudly proclaims that there’s not corn syrup used. With many brands sneaking unnecessary or unhealthy items onto ingredients lists it helps parents shop faster when packaging gives you’re the important information instantly. This product is all about giving babies high quality ingredients, which is why you won’t find DHA in this. The available DHA options don’t live up to the brand’s expectations. There is iron however which also helps with brain development. Along with a balanced meal for you baby you also get additional prebiotics to improve a baby’s immune support. As with many modern formula products you get this in a handy square container which won’t easily slip out of your hands when you’re in a rush. It has prebiotics meant to support the immune system. It’s also an easily digestible formula. High amounts of Iron is used. Always look out for babies’ discomfort when putting them onto new food products. This product may cause constipation if your baby’s digestive tract reacts negatively towards some of the ingredients. Since it contains lactose it should taste sweet enough for babies to love it. Why we like it: There is a unique combination of ingredients that aid growth and development—optiGRO. Since your baby’s development now determines his or her growth and health for the rest of its life it’s essential parents give children all they need. With everything in one formula (instead of giving additional supplements—parents have easy solutions for mealtimes. Here’s a balanced nutritional product at a reasonable price. Since you’ll find it many hospitals you know you can trust it for your home. The substance contains nonfat milk, so it does have lactose. Despite this taste enhancer, additional sugar is added. This is not a healthy choice and can affect babies’ sleeping patterns & energy levels. It also has other controversial items on the list such as carrageenan. Bottom line is this: It offers a balanced nutritional intake, but unnecessary additives ruin a perfectly good formula. It has a blend of DHA, Lutein and Vitamin E which is called OptiGRO. This unique combination is focused on aiding babies’ eye and brain development. It’s also the formula that is used most in US hospitals, which attests to its value. Consider whether the high sugar levels will be good for your baby. Also note that the expiration period is quite short so this can become stale fast. Keep to the indicated dates to ensure you don’t feed your baby dangerous substances. This also means you can’t buy in bulk and store it for a few months. It definitely tastes good thanks to the sugar levels. Since it’s used in hospitals often babies must have an affinity for it. Why we like it: This combination of ingredients caters for a certain niche as it doesn’t contain lactose. Since it still provides balanced nutrition and gives your baby all vital components needed in a diet it’s an easy option for parents who know their babies struggle to digest dairy products. For your child’s first year you can use this balanced formula and if he or she is lactose intolerant you’ll love it even more. The combination of ingredients was chosen to resemble real breast milk so your baby should easily transition onto this. 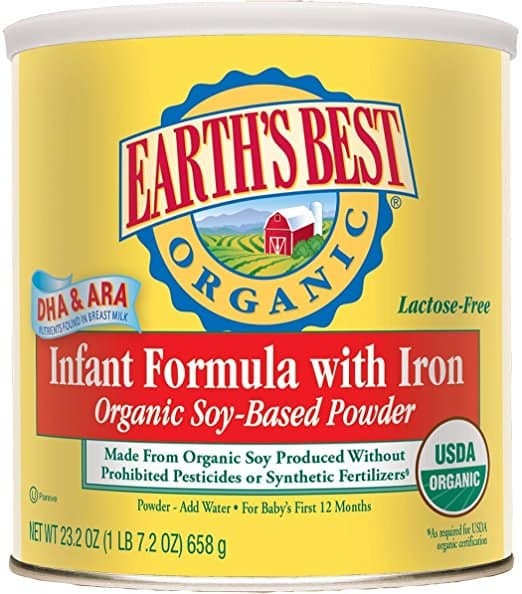 Note that this is a soy based formula, but it’s the best alternative for lactose intolerant babies. You get high amounts of iron as well as supplements such as vitamins. There are high levels of DHA which can be beneficial for development, but since many experts disagree on this matter, this can either attract you to the product or put you off. Because of the absence of lactose, organic glucose syrup is used to sweeten the milk. This is not the healthiest option and can even affect your baby’s energy levels (making him or her hyper). It’s a lactose free formula with high iron levels. It also has some of the highest levels of DHA found in baby formulas, making it an ideal option if you trust the substance for its developmental benefits. This is both Kosher and USDA classified as organic. The high sugar levels can make a child hyper active. This tends to get very frothy during mixing. If your baby isn’t used to it, it may prevent him or her from enjoying it. Foam can also cause more gas than usual. You can adjust your mixing method (stirring instead of shaking) to counter the problem. While the ingredients resemble breast milk, the taste does not. Your baby may find it too strong as it can smell of fish or metal. Why we like it: You’ll love having one more easy solution when you see the container’s design. The scoop’s handle slides into the corner for easy storage. No more searching for that scoop when you’re in a hurry! We love it when a product provides practical as well as nutritional solutions. 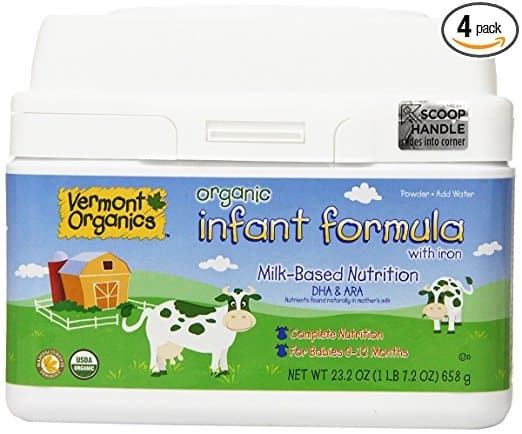 Vermont Organics gives you a balanced formula option. It comes in a handy square, plastic container where a scoop can be stored in the lid. It provides all necessary components a baby needs during its first 12 months. This is a milk based substance with both non fat milk (which will contain lactose) and some glucose. The latter adds sweetness but isn’t the most healthy option. The oils are organic, but includes palm and soy oil. Both DHA and ARA are present to help with babies’ development. This could make it an unwanted product if you want to steer clear of these items. It’s certified as organic by the USDA and Quality Assurance International 02FTP. Look out for signs of constipation and discontinue use if it occurs. Much of the goodness may be left behind in the bottle as it doesn’t dissolve easily. The added sugar will make it tastier than some other products mentioned on this list. However, it may have a gritty texture to it which some babies won’t like. Why we like it: Extremely healthy ingredients are used as the milk substance comes from grass fed cows. You also won’t find controversial items such as maltodextrin. Firstly note that this is not a certified organic product. However, it contains many of the substances parents may be looking for, so it deserves a place on this list at least. If you can make peace with not seeing the sign of being certified, you’ve found a very healthy alternative for your baby’s next meal. The Munchkin product is GMO free. 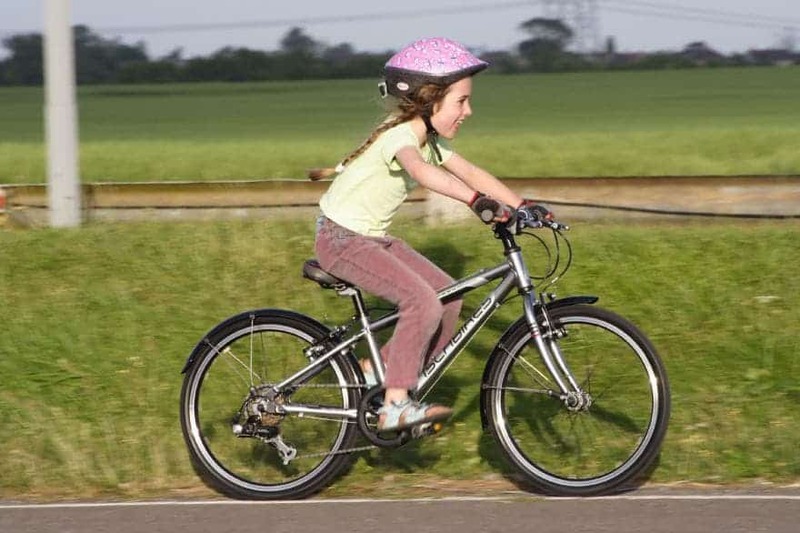 It can also be used for children up to the age of three, so this could be a long term solution. However, since it’s not specifically designed for infants it may lack some nutrition your newborn needs which is why it’s low on our list. It contains skim milk from safe sources and also has lactose which is a good nutrition source and enhances the taste. It does have some soy ingredients and also some processed items, so if you know your baby is sensitive to these, rather try something else. 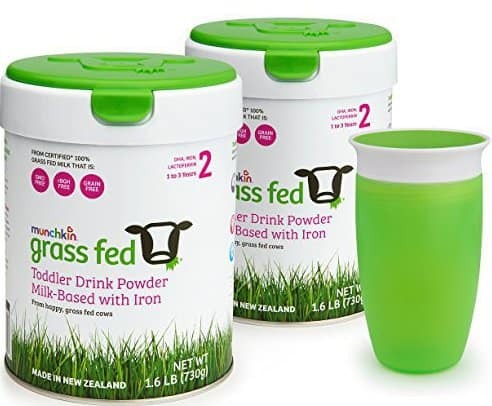 Milk ingredients are sourced from happy, grass fed cows from New Zealand and this is the only formula that can claim it sources from 100% grass fed cows. There is an immunity booster Lactoferrin. This is not certified as organic. It has a sweet taste so most babies should take to it quickly. However, remember each baby has preferences and some simply won’t like it. With a healthy baby staring up at you from the crib you’ll be forgiven to think all is well. Why spend time and money on adjusting and perfecting his or diet? But you don’t know everything that’s going on inside its body. Ensure ideal development of bones and muscles so your baby’s body can grow optimally. Malnourishment may affect bone strength and even your child’s height. If your baby experiences adverse health challenges at a young age it will limit development and could predispose him or her to contract diseases in future. Allergies that are activated now may take a long time to counter, so keeping it natural is best. For all these reasons providing a natural diet that provides all important ingredients that mothers milk usually provides, should be a priority for all parents. Since organic foods are usually without substances that could spark allergies or sickness, this is an excellent option to consider. Of course breast milk is best for babies, but it’s not always possible for mothers to keep on feeding this to their children. Whatever the reason, a super healthy alternative should be found and average baby formulas simply don’t live up to the test. One aspect manufacturers may not mention is the many side effects some ingredients cause. 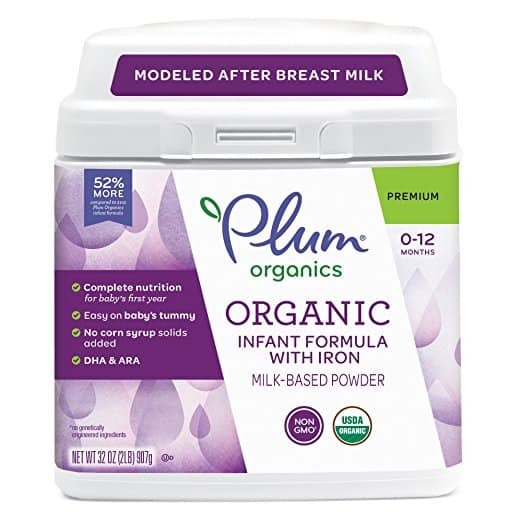 So let’s show you how your baby will benefit when you exchange normal formula for organic. Fatty acids such as DHA/ARA: In general they don’t carry health benefits, but they can also cause vertigo, anorexia or even diminish a baby’s reflexes. Carrageenan: In extreme cases this can cause tumors or ulcers, while inflammation is often heard of. Soy: This can negatively impact various natural processes such as thyroid functioning, brain development and immunity. Palm oil: This is an extremely unhealthy oil which can affect bone density and even turn into a soapy substance in a child’s digestive tract. These are often found in normal formula, showing you that it’s not the ideal option. Yes, unfortunately some manufacturers dare to place these in organic products as well, so you must always double check the ingredients list. How far are you willing to go to ensure an absolute healthy diet? Or perhaps your baby is sensitive to certain components? Note that you can’t stop by vetting the list of ingredients. You should also manage the supply chain. Does the formula container carry any health risks? This was a huge problem a few years ago because cans’ linings contained BPA. It’s now banned in the US, but make sure the brands you use adhere to all these safety guidelines. You probably know plastic isn’t always the best answer. Luckily BPA free plastic is now available. Make sure you use the right kind of bottles at all times. Even the water going into the containers can carry health risks. For optimum safety and health it’s best to use filtered water when you prepare your baby’s next bottle. The two components—tap water and formula—may be safe when consumed separately. However, the fluoridated tap water along with fluoride in formula boosts the fluoride in babies’ systems above acceptable levels. Filter your water to eliminate one more risk from your baby’s diet. This is a very important matter. Yes, you want your baby to enjoy a sweet type of milk, similar to breast milk. This will help you transition the child onto formula faster after all. Lactose: This is the best option, but manufacturers avoid it because it’s so expensive. If you find formula containing this you’ve got a winner. Maltodextrin: It’s extracted from rice, corn or potatoes so it has a natural origin. It also helps the formula dissolve better. It doesn’t have many health benefits, but it’s one step up from adding other sugars. Artificially built nutrients which many parents try to avoid, since the focus with organic products should be natural ingredients. Remember cows milk also contains lactose. A manufacturer may decide to only list milk as an ingredient but that doesn’t mean it’s lactose free. Prebiotics always sound great on an ingredients list. But they’re only helpful up to a certain level. Some babies’ digestive systems may react by generating a lot of gas if they have sensitive stomachs. If you want your baby to feel comfortable after feeding time, opt for a product with less of these prebiotics. Your premature infant will be much more sensitive to anything you feed him or her. Their immune systems also differ from that of babies born after they developed optimally inside the mother. Therefore these two groups of babies will have different dietary requirements. Note that many baby formulas aren’t ideal for premature babies. One reason is that the powder is usually not sterile and with an immune system that’s not fully functional yet, a premature baby may contract a disease. It’s ideal to discuss your premature newborn’s diet with your doctor. By testing your baby for deficiencies or risk factors, you can determine which ingredients are safe for consumption. Pick a formula that aligns with this list then. So have you found your baby’s ideal new menu? Remember, it’s an investment to spend time, money and effort on getting his or her diet right now while they’re young. The level of health they experience now sets the stage for future development, health levels and therefore even quality of life.